With the holiday season upon us, it may be that you plan to take your fancy clothes to the dry cleaners to keep them looking lovely for holiday parties. 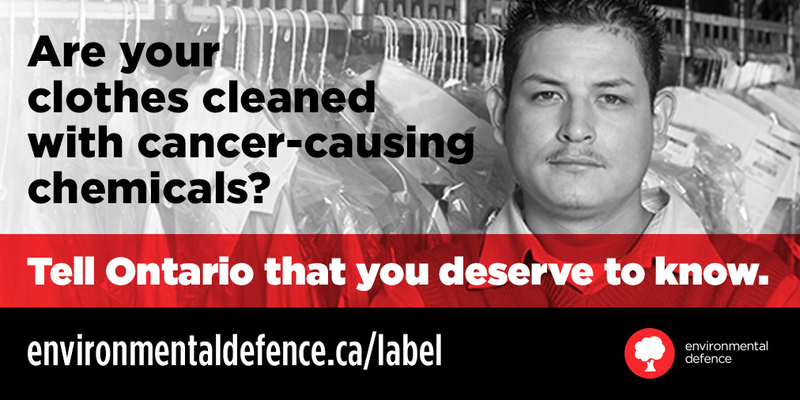 Before you do that, you should know that Environmental Defence has put out a new report about the dangerous chemicals used in dry cleaning. So how is dry cleaning toxic to your health? 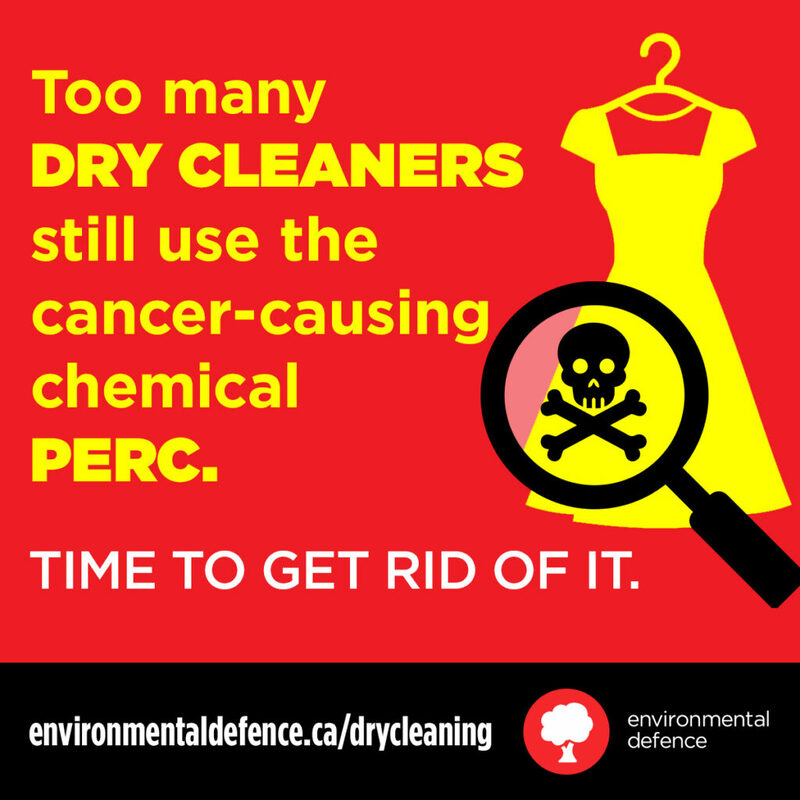 The most common dry cleaning chemical called PERC (perchloroethylene) is used as a solvent and stain remover, but is very toxic to human health and the environment. This chemical is dangerous to employees of dry cleaners, as well as residents living near dry cleaning operations, and because it can contaminate water, the hazards can be very widespread. Right now, the US has started taking steps to limit the exposure to PERC, but Canada is lagging behind in its regulations. The problem with banning PERC across the board, is that there are still lots of toxic alternatives out there, like hydrocarbon cleaning, that would still cause environmental and health hazards. BUT – there ARE non-toxic alternatives available: wet cleaning and liquid carbon dioxide. Wet cleaning is recommended by Environmental Defence because it is the safest and most cost-effective option. Liquid carbon dioxide is much more costly, therefore not economically feasible. Environmental Defence has several recommendations for governments to make the shift to non-toxic, environmentally friendly wet cleaning. As customers, we can ask our dry cleaners about the availability of wet cleaning methods. We can also TAKE ACTION by lobbying governments to start regulatory processes. You can also download a quick pocket guide from Environmental Defence that make the full report easier to digest. What will you do to avoid toxic dry cleaning chemicals?